An aerial shot of Westmead Hospital, where redevelopment continues apace. 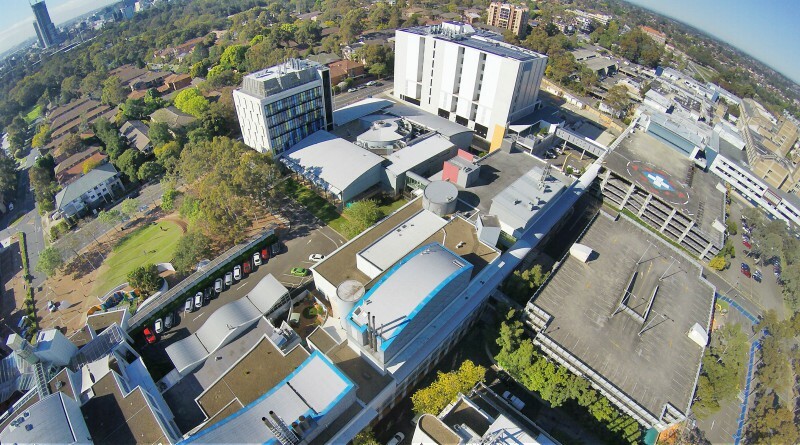 In the coming weeks, Westmead Hospital staff will notice a lot of construction activity around the site of the future central acute services building and the broader hospital campus. There will be some noise and vibration, along with a significant increase in truck movements and construction workers on site. During the construction work, the redevelopment team’s priority is ensuring the safety of staff, patients and visitors, so it will be closely monitoring all works across the site. Some staff will have questions about how the Westmead Redevelopment project team (and the contractors working on the site) are managing contamination, noise and dust. The project team will be holding an information pop-up booth on Monday, 24 July, 2017 from 11am to 1pm at the University Clinics entrance to Westmead Hospital to answer those questions. Drop by and find out more. A fact sheet to provide information on how we’re managing noise, dust and contamination across the project can be found here. If you’d like copies to keep in your work area to show colleagues, patients & visitors, please contact the project team.